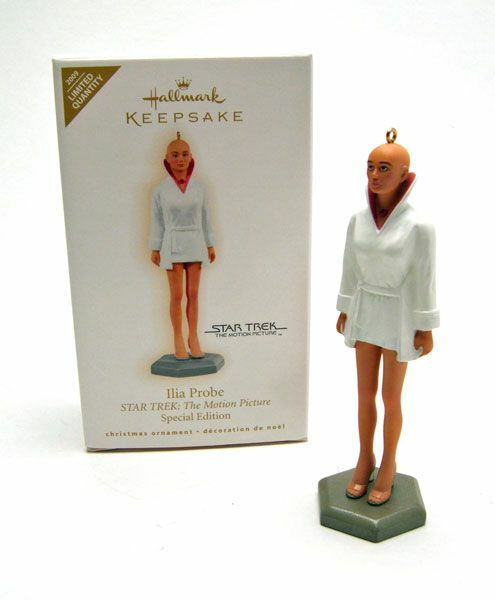 Hallmark released this Ilia Probe ornament as part of it's 2009 holiday offerings. 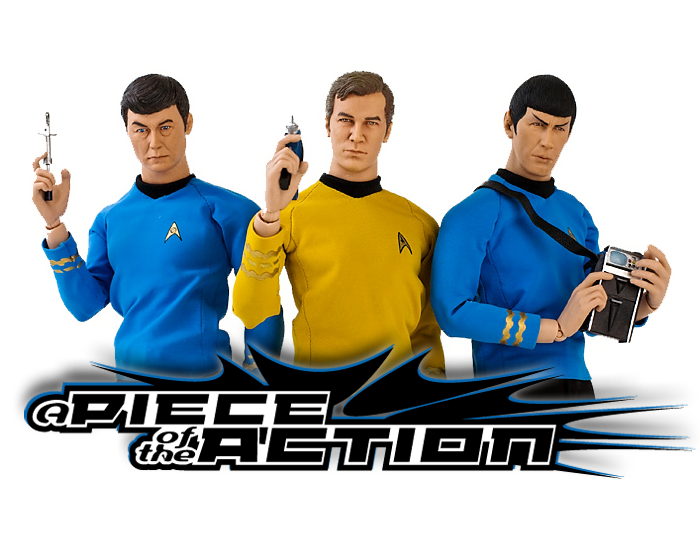 The Rundown: The final Hallmark Keepsake ornament for 2009, Ilia Probe is this year's "Limited Edition" offering in its Star Trek line. 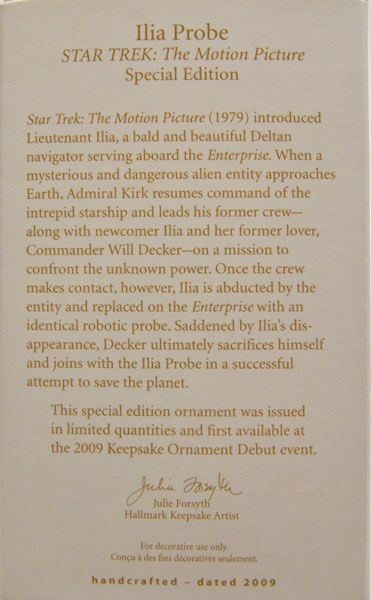 Since this year is the 30th Anniversary of "Star Trek: The Motion Picture", Hallmark hooked us up with 2 ornaments to celebrate with (the Klingon Battle Cruiser being the other). She debuted this weekend and was a pretty quick sellout at my local store. How's she looking? When you're talking likenesses on ornaments, you always have to take into consideration the scale and material used. 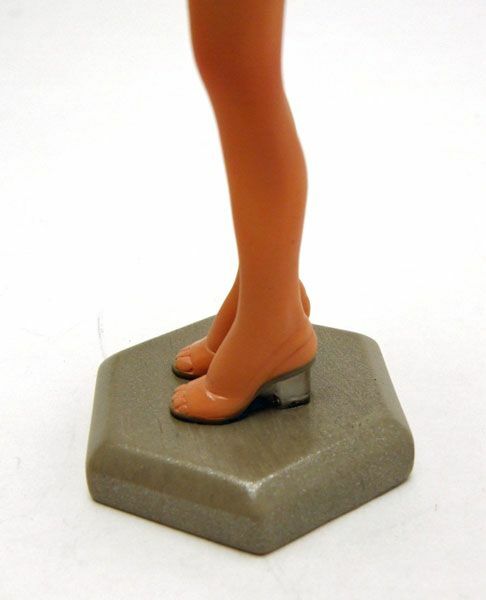 That being said, Ilia has a very nice sculpt with a nice attention to detail. The face replicates the vacant stare she wore as the probe quite well. 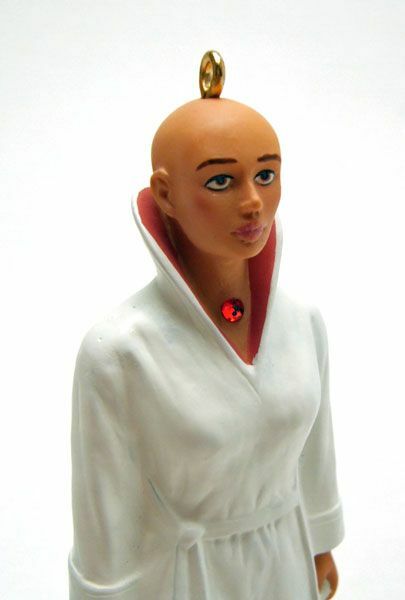 Ilia's neck jewel looks good here as well thanks to Hallmark using a tiny red "gem" for the effect. Another detail I was really surprised by was Ilia's heels. They are actually cast in a translucent material! That's a detail I really didn't expect to see on this! It really shows that Hallmark puts some real effort into these things! So there she is... Like I said, this was a quick sellout at my local Hallmark, but there's a chance she's still around at yours. Most of the Hallmarks around me are staffed by some very friendly folks, so it might be worth a quick call to see if they still have her in stock. The fact that she's this year's least expensive ornament (she's $15) coupled with her 'limited edition' status will probably help her move pretty quickly, so don't delay if you want her! Thanks for posting this James, I wouldn't have known about it otherwise. Got one today.